That’s me just returned home from the Udny Historical Society! 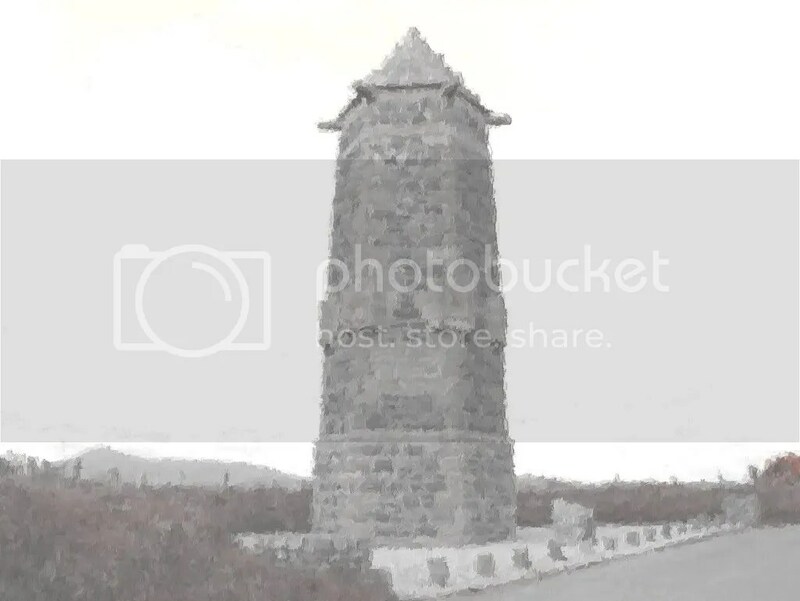 I was made to feel very welcome indeed by the group and managed to fit in a good few stories and ballads such as The Unquiet Grave, Mary Elphinstone, Bogie’s Bonnie Belle, Donald’s Holiday, Auld Craobhie and Maggie McQueen Frae Aiberdeen. A photo of Inverurie Graveyard as taken from the top of the Bass. Perhaps Mary Eerie Ory Elphinstone still wanders round here at night! Thanks everyone for having me along and for pointing me in the direction of so many new topics to explore! I’ll be looking in to the Udny Morthouse soon! At the end of May, the Banff Coast Festival invited me back for a second year – this year the theme was “Light” and I learned a few new stories which are sure to become some of my favourites. 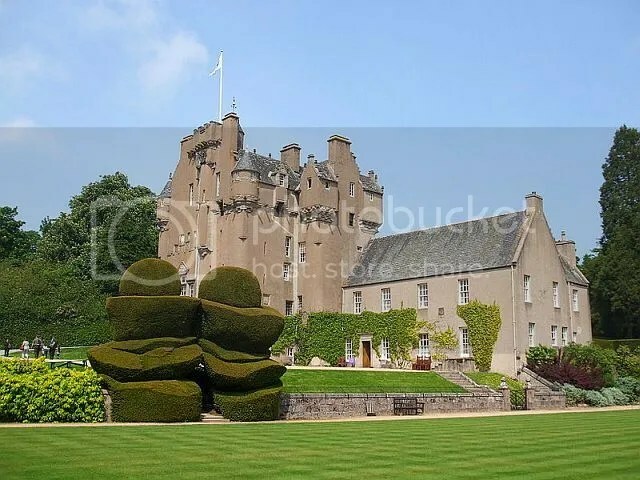 On the first of June I was telling stories about gardens, flowers, plants and trees at Drum Castle’s Chelsea Fringe Event. I had been scheduled to tell stories in their beautiful formal gardens, but unfortunately the heavens opened – luckily there was a very cosy place indeed inside the castle which we made comfortable with blankets and cushions. There were a lot of adults tempted in by the stories as well, so it was a wonderful session! She’d like me to assure all her fans that she’ll be making a lot more appearances in the future! No sooner were we back from our Glastonbury journey than I was telling nature and environment stories at the Burn O Vat. Once again I’m covered in lumps from the midgies – perhaps if I had told that story I wouldn’t have been stung so often? 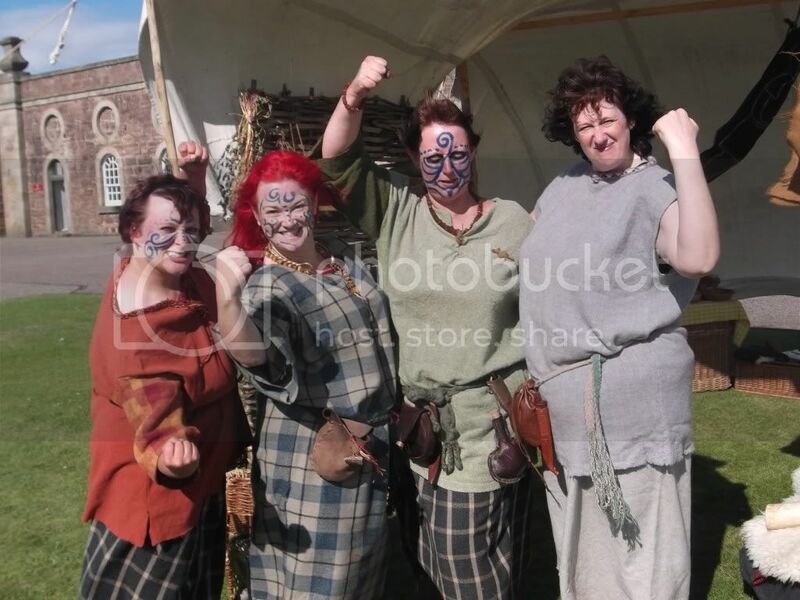 The Rhynie Wifies were at Castle Fraser again on the weekends of the 18th/19th July for the Rumbling Romans and Wicked Warriors event next weekend, 18th and 18th July 2015. 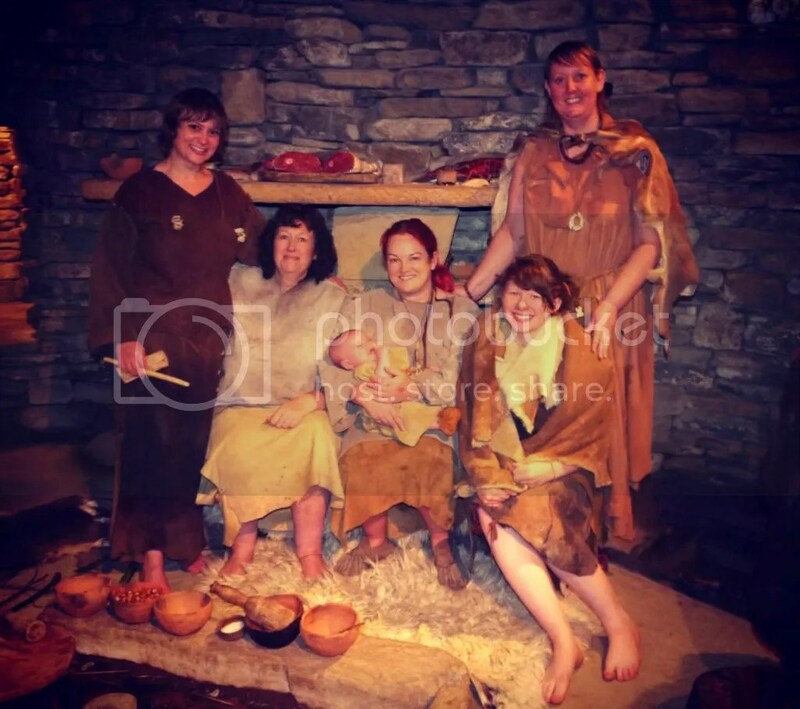 Visitors took part in Warrior School, Iron Age Crafts, Cooking and Dyeing/ We were as wicked as we Wifies (and one Tiny Rhynie Quinie) could fit into a weekend. Perth Prehistory Festival 2015 will be held the weekend of 22nd and 23rd August 2015. I had the chance to tell all of my iron age tales in full kit and enjoyed seeing all the other crafts stalls and chatting to other folks from prehistory! In Summer, I organised a meeting of the Grampian Association of Storytellers who have been having some time off since 2012. I’m proud to say we have a new committee now and that we will be organising monthly storytelling sessions from now on – please see the GAS Facebook Page for details. Fizzy the Fairy and I headed to Charles Michies for a couple of weekends in December – we had a great spot in their cafe (nice cakes there folks!) and enjoyed telling Christmas stories to those who came to hear us. I also told stories at a special event at Woodend barn December called “Tales From The Christmas Tree” in which (as Thistle) I told a different Christmas story for each tree decoration and asked children out from the audience to place the decorations on the tree. After that, Fizzy and I (and all of our other puppet friends) were able to let our hair down and enjoy Christmas and New Year. We’re now looking forward to 2016 and all it will bring! 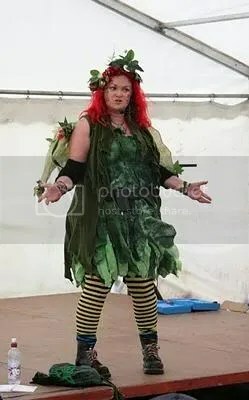 As of the 4th January, I will be doing Children’s Parties as “Fizzy’s Fairy Parties” and my Rhynie Wifie friend, Karen and I will be aiming to bring prehistory to life for school aged children across the North East. Something which has been missing for a few years since Archaeolink closed down. 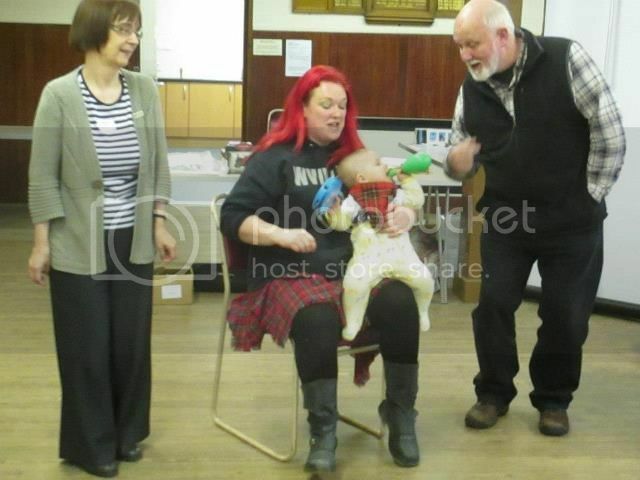 In March I was a guest at the Banchory Heritage Group. I brought along some of my Iron Age kit and told a mixture of stories – some local, some with an Iron Age setting and some that are just my favourite. A most enjoyable evening! 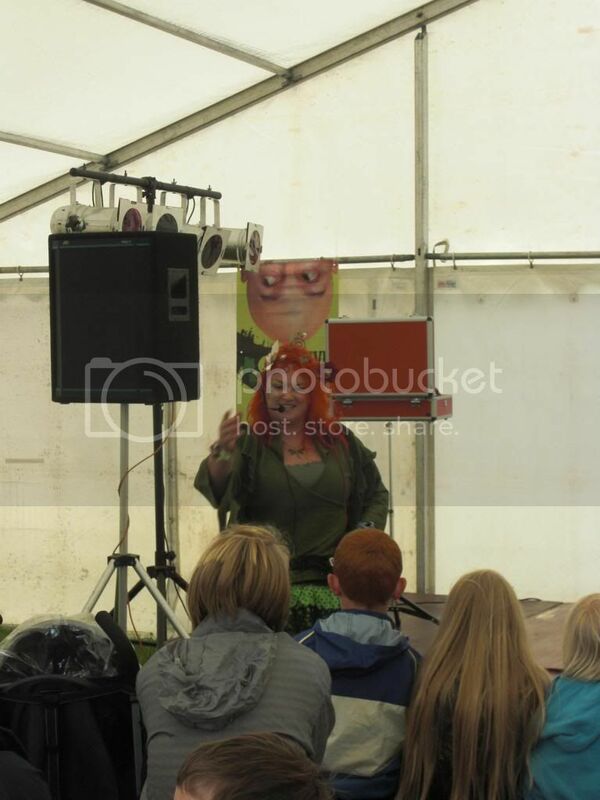 In May, I told local stories at Aden Country Park’s “Our Story” event. I also led a group singing Bothy Ballads – which went very well considering I only knew 3 of them off by heart and had to depend on the words! Visitors also had the chance to write down their own stories from their farming past. 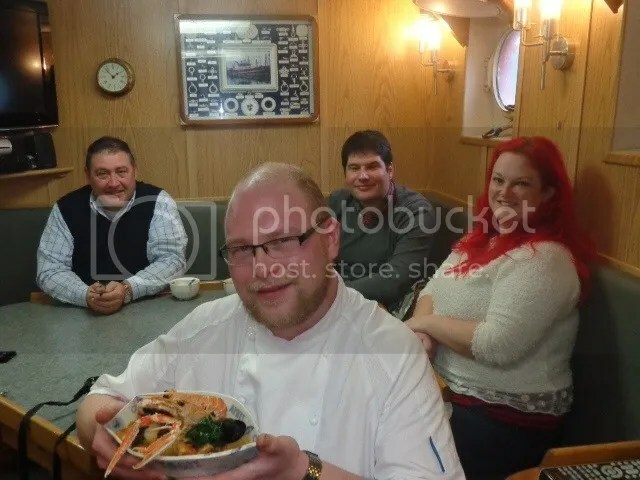 I was also involved in the Banff Coast Festival at the end of May – their theme was the Sea – so I did a few sea shanties too! 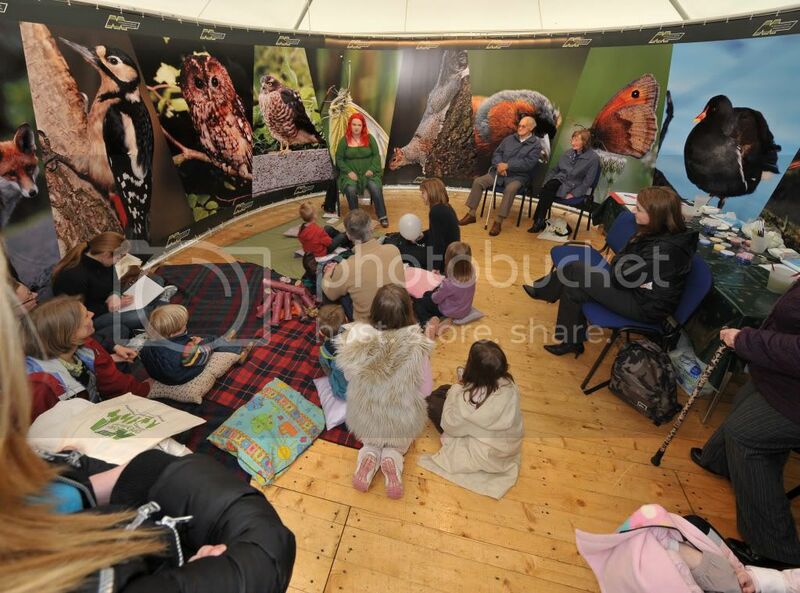 I was back telling stories at the Banchory River Festival at the start of June – one of my favourite locations! The museum and library always put so much effort in to their events and decorate the building to suit. 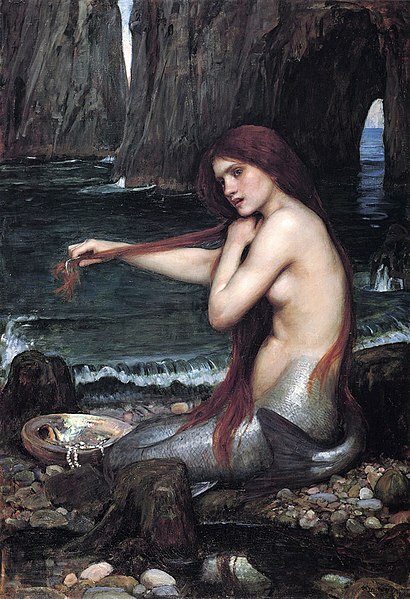 This year the theme was “The Muckle Spate of 1829” – so stories of stories of floods, fish, selkies and salty old seadogs were the order of the day! Before I left to go to Glastonbury, I did an evening session at Midstocket Mews sheltered housing. What an amazing time I had! It was nice to get requested to sing a couple of Bothies too. I love an audience that join in! 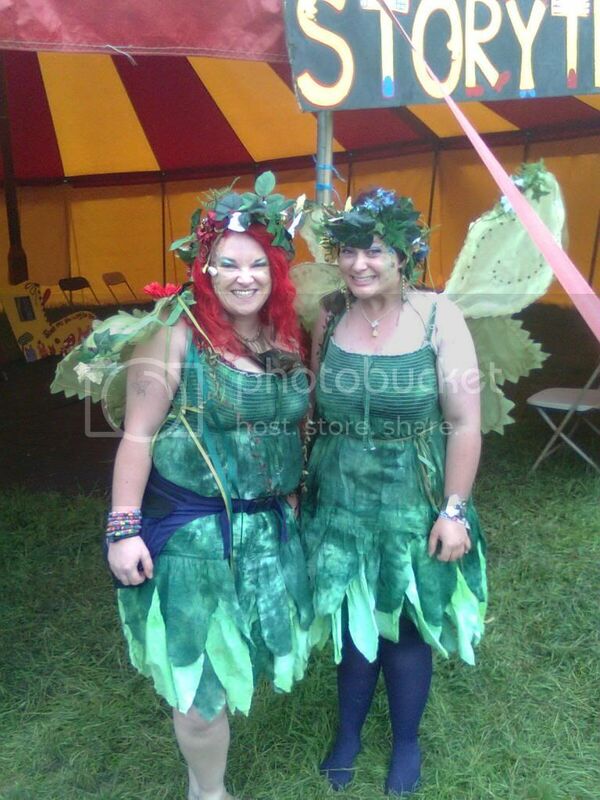 Glastonbury 2014 was amazing as ever! I think it was the best one yet – I had a wonderful time in the Kidz Field telling stories with John Row, Donald Nelson, Christine Willison, Cath Little and others – and I was at the opening of the Kidz Field for the first time. Wow! Never has a fairy been high-fived so often in a one hour period. Storytelling in the Green Futures field was also wonderful – and it was also a chance to sit back and listen to Christine and Cath’s stories. A perfect festival – looking forward to the next one! Straight after Glastonbury, I was back to one of my favourite places for the Burn o Vat Open Day. I told my favourite nature and environment stories and it was one of the hottest days of the year! As the sun was out, I think it was only appropriate that I told “How The Raven Brought The Sun” – you can see Roxy the Raven helping me out in the photo. Throughout the summer, Crathes Castle had been host to a number of storytellers. On the 10th July it was my turn. It was fantastic weather again and I had a great spot within the walled garden to tell a grand collection of Scottish Tales! Another weekend, another Castle ! 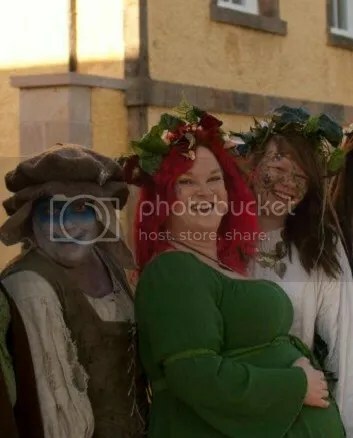 This time it was for the Rhynie Wifies – we joined The Devil’s Horsemen, Comitatus and others at Castle Fraser for their Chariot event. Usually at this time of year we’re a little out of the time period as Castle Fraser put on their Medieval Jousting Tournament… but to be back in amongst the Romans ? We felt right at home! On the 4th October I was invited to do a turn at the TMSA Cookney Meal and Ale – another richt enjoyable evening! I ended the year by visiting Arduthie Primary School in Stonehaven – Miss Philips class had been doing a project on Scotland so I was all to happy to bring some traditional Scottish stories to them. 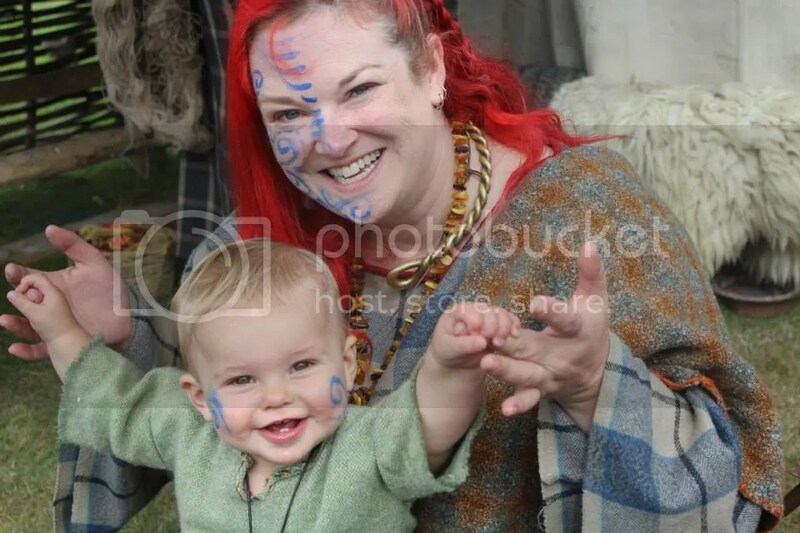 Pauline and her daughter Molly in their Iron Age outfits at Fort George in August 2012. After a bit of a year off in 2012, I was really looking forward to getting back into the swing of things in 2013. It turned out to be a very busy year! My first event of 2013 was totally out of this world! 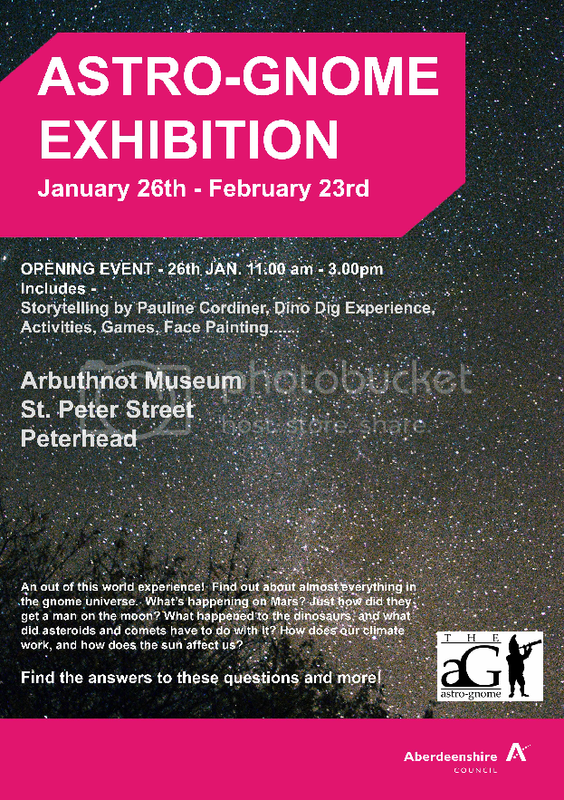 From 11am – 3pm on Saturday 26th January, I told space themed stories at Peterhead’s Arbuthnot Museum who had some special exhibitions from Astro-Gnome. It was a perfect chance to brush up on my constellation myths as well as lots of stories about the sun, moon, and stars from different cultures all around the world. There were stories for all ages and I even got to throw in a couple of songs for the very little ones! Click here for a photo from the event! 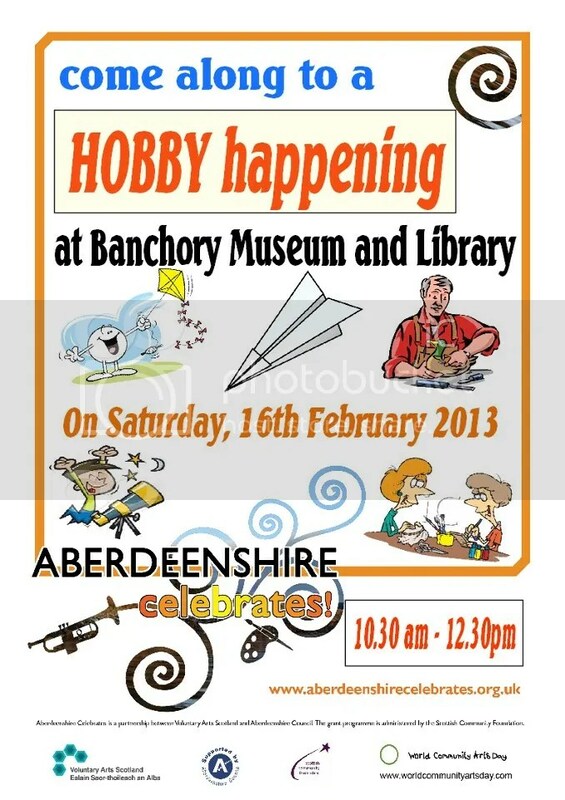 Storytelling is my favourite hobby, so it fitted in nicely that I could be found telling stories at Banchory Museum and Library’s Hobby Happening event on Saturday 16th February from 10.30 to 12.40. This was part of World Community Arts Day. 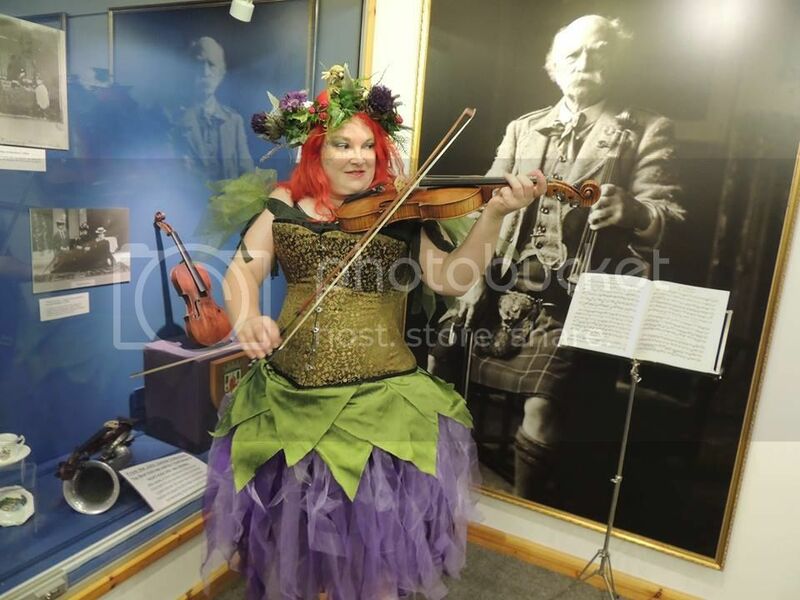 Aberdeenshire Celebrates aims to paint a picture of the rich arts and crafts scene in Aberdeenshire by profiling the many drama, dance, singing, musical, visual art and craft groups that work in the area. 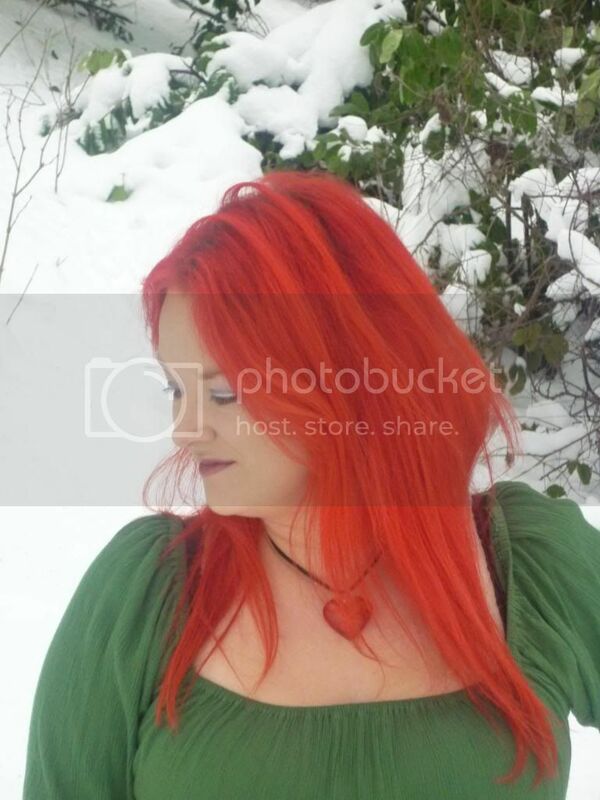 On the 13th March – (despite heavy snowfall!) I headed out to the reopening of the Burn O Vat Visitors Centre at Dinnet. It was such a beautiful day for it – with my Iron Age kit on and the sun beaming down on us, it didn’t feel cold at all! Well, I do admit my historically accurate bog shoes didn’t stand up to the snow as well as a pair of wellies – but there was so much jumping around with the Scottish Wildlife stories that I was telling to the children of Logie Coldstone Primary School that my feet soon forgot the cold. It was a wonderful day that I won’t forget for a very long time! 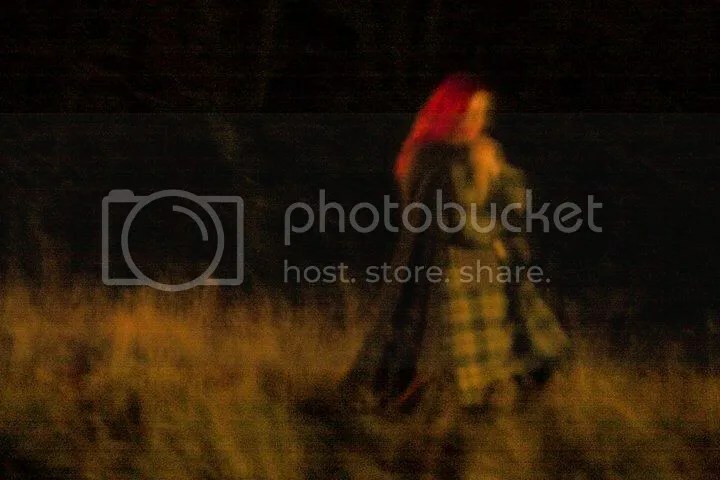 Click on the photo to the left if you’re interested in seeing those shoes! On the 16th March I was glad my voice had returned after the Burn O Vat reopening! I took part in some of the Aberdeen TMSA (Traditional Music and Song Association of Scotland) competitions. I came second in the work song/sea shanty category, joint first in the songwriting competition and first in the ladies traditional singing! 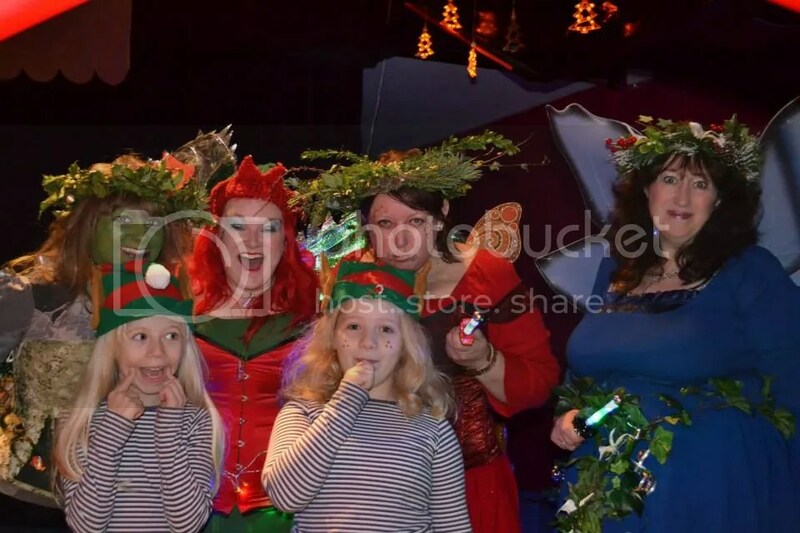 But best of all was when my little one, Molly and some friends of ours came third in the Freestyle singing. We sang “Three Craws” with able percussion from Molly! My amazing storytelling friend, Anna Fancett of www.uponmyword.co.uk/, asked me along to the Aberdeen Choral Ensemble (or ACE!) to tell stories and sing songs to their members at Airyhall Community Centre on the 23rd March. I’m pleased to say my new banjolele made its first appearance at a storytelling session and it was wonderful to be telling stories with Anna again. 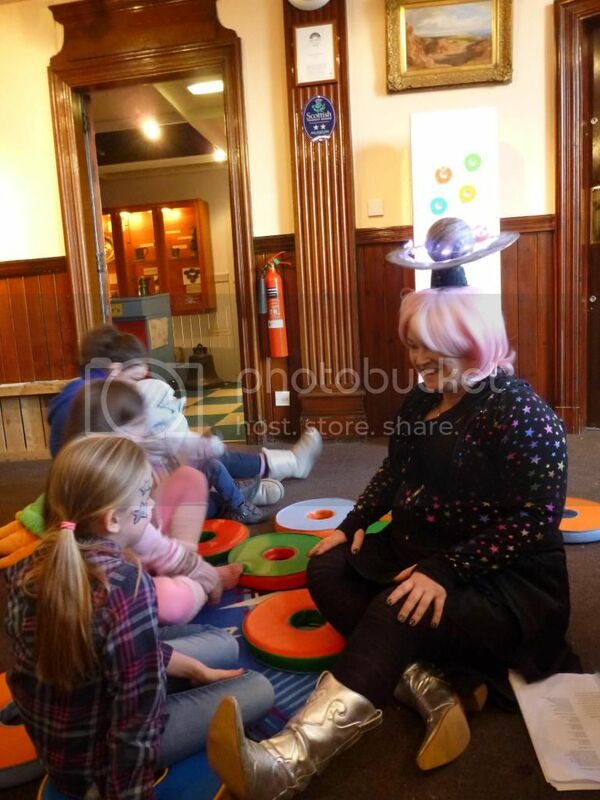 On Easter Sunday I had a brilliant time telling stories at Brechin Castle Centre where I told stories about Easter, Spring and bees to some really enthusiastic families who were there for egg hunts, train rides, easter egg and bonnet decorating competitions and lots of other entertainment. 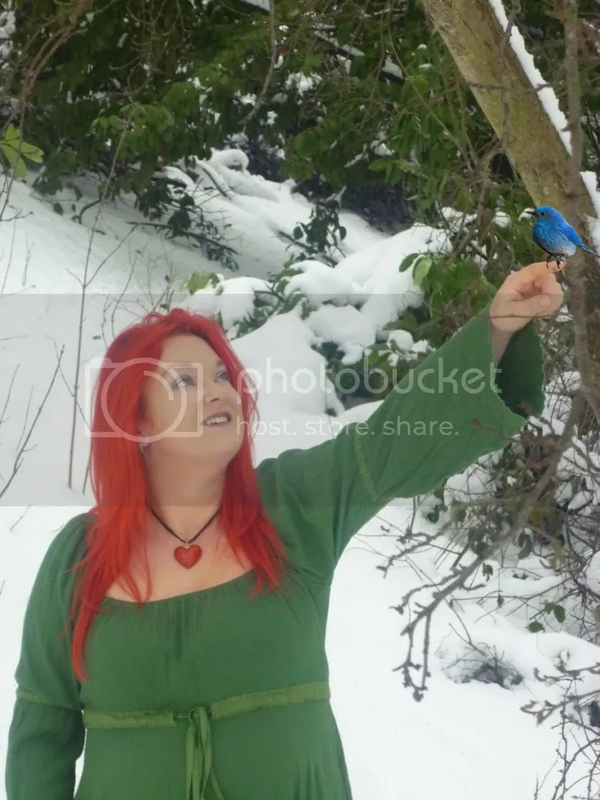 I was there in full Spring Fairy mode in the hope that I’d encourage Spring to come out of hiding! In April I was telling some local stories and old favourites at The Gaitherin in Inverurie over the Easter holidays. Click on the link to find out what a fantastic opportunity The Gaitherin is for children. 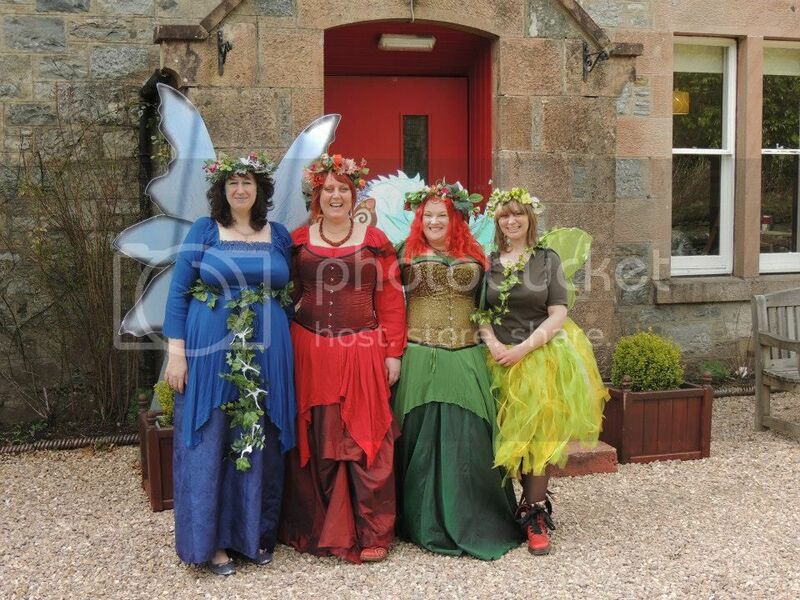 And… at the end of April The Rhynie Wifies were booked to do their first wedding! 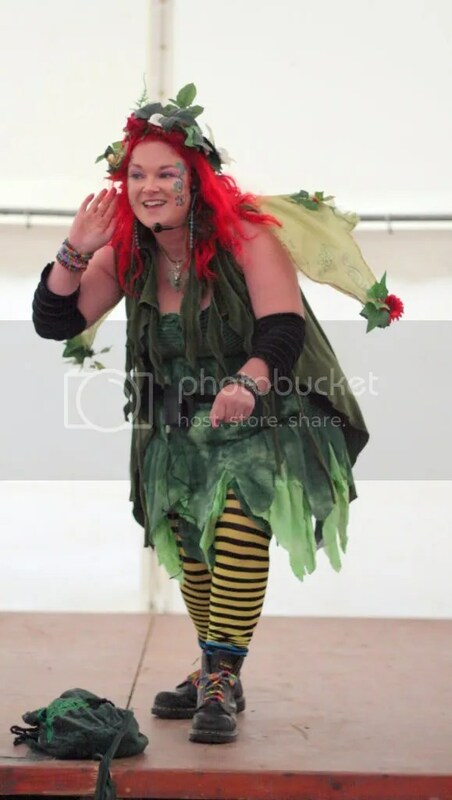 We leapt at the chance to dress as the fairies of Spring, Summer, Autumn and Winter and sang and told stories to entertain the wonderful bride, groom and guests. The Rhynie Wifies have also been busy at Castle Fraser and BA Stores and featured at the Breemie Midsummer Festival.On Tuesday 7th May, I told stories and sang some Scottish songs, ballads and bothy ballads to some of the residence at Nazareth Care Home reminiscence group. I really enjoyed myself – and it was just lovely that my Granda was there to listen! He was aye good for a story or bothy ballad was Granda! On Friday 17th May, I took part in the Strichen Festival competitions and was delighted to win the Doric Story Writing competition! 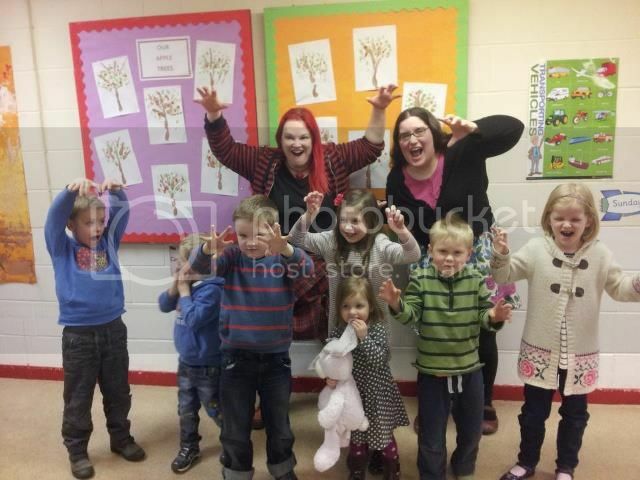 During May and June I have been spending some time working with the ladies of Skirts and Tales and some of the children from Gilcolmstoun Primary School in Aberdeen. We worked on the story of the Fisherman and the Flounder and wrote our own sea shanty based on the story! The children’s drawings and prints from the story will decorate the train of a huge wicker skirt which will be the centerpiece of the group’s contribution to the Aberdeen International Youth Festival parade at the end of July! 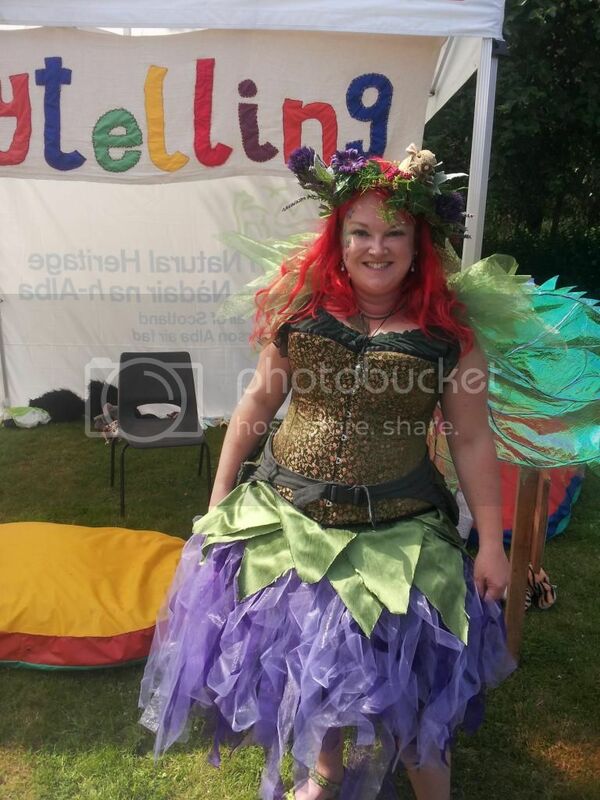 On the 8th of June, Thistle the Fairy told Tales From The Riverbank at Banchory Museum and Library. Frogs were croaking, boats were rowed, mice got married, raven was up to his usual cunning and Mother Nature was finally allowed a nice cup of tea and a cake after all the animals were created. What a wonderful bunch of families as always! I love telling stories there! On the 7th July I was back at the Burn O Vat visitors centre for their yearly open day. It’s always a great day with lots of outdoor activities, fantastic walks round the nature reserve and the visitors centre was just re-opened a few months ago after a nice spruce up! The weather was just stunning and I’m pretty sure the midgies came to listen to a few stories as well – going by my lumps and bumps anyway! 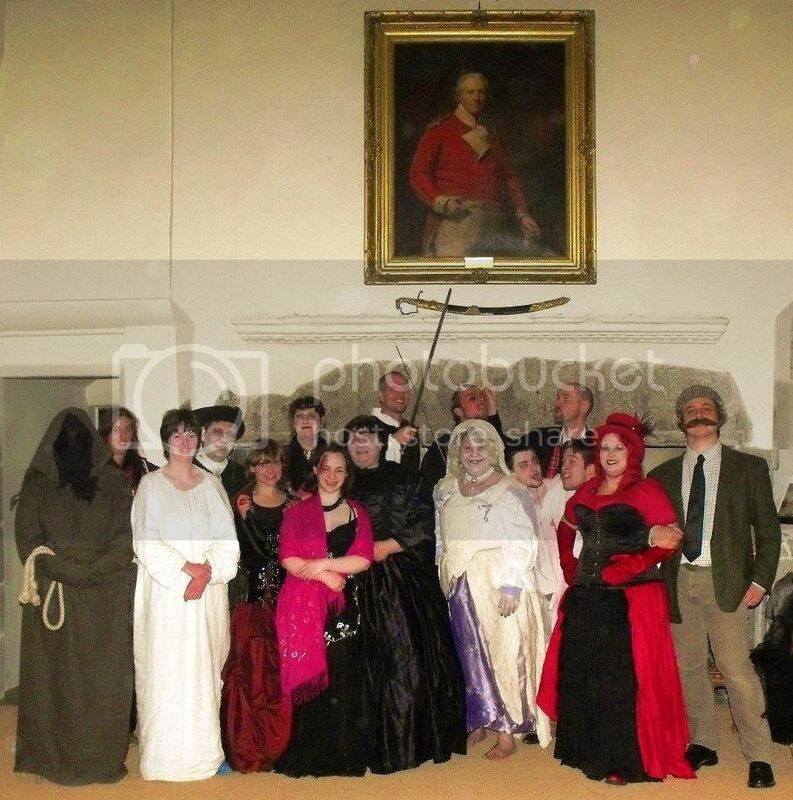 And on Friday 2nd August, I returned to Arbuthnot Museum for another of their summer events. This time the theme was “Under The Sea” – so mermaids, selkies, fishies, sea goddesses, sirens and Morag the Sea Serpent was be the order of the day! The weekend after that, baby Molly and I headed up to Fort George with the Rhynie Wifies for the Celebration of The Centuries weekend which is always a wonderful show! See the top photo from this post to see our costumes! For the weekend of the 7th September, Molly and I toddled down to the Kirriemuir TMSA festival where I tried my hand at diddling for the first time! For some reason I won the trophy – which means I’m really going to have to practice my diddling for 2014! On the 22nd October, I had the pleasure of telling stories to some of the children at Clinterty Travelling People’s site. 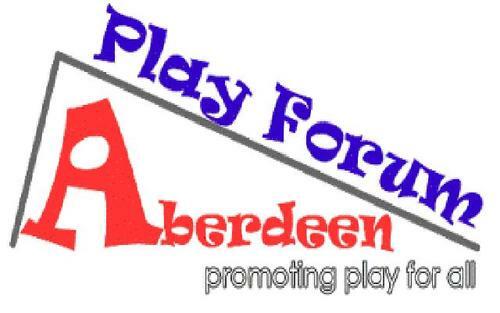 Organised by Aberdeen Play Forum, we had a tarpaulin shelter, a wee camp fire, hot chocolate, marshmallows and ghost stories round the fire! 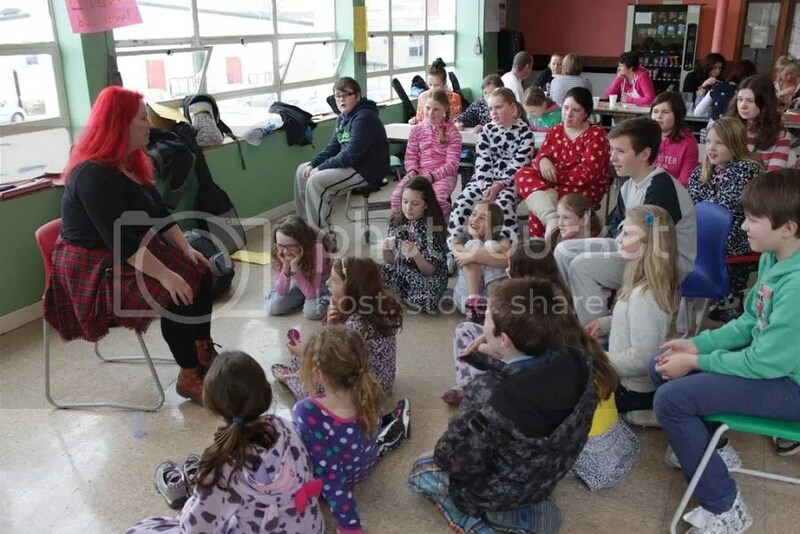 Some of the kids were just as eager to tell their ghost stories as I was – and let me tell you, I was right hooked in! At the end of November and start of December, I was telling Christmas Stories in Charles Michies the Chemist’s tea rooms! The storytelling was sponsored by Aberdeen Inspired who had organised Santa’s grotto in Union Terrace Gardens, a skating rink at the Castlegate and much more. Pauline at the final Wickerman event, 31st October 2010. 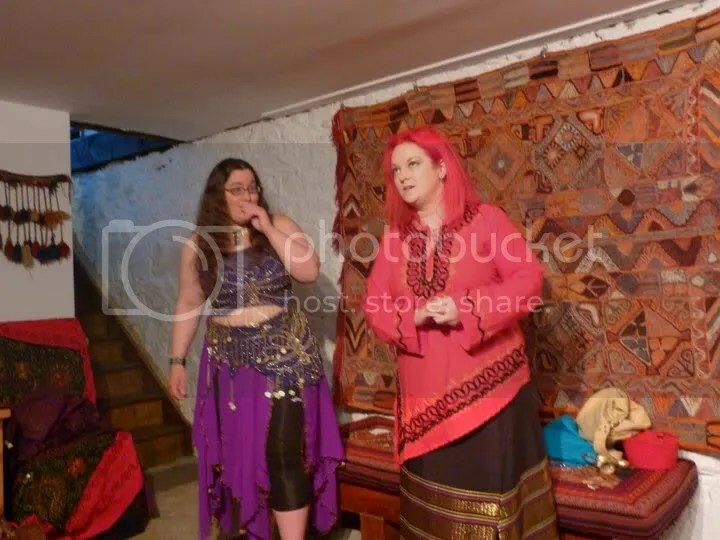 As their resident storyteller, I was storytelling throughout the year at Archaeolink Prehistory Park. With differently themed weekends between easter and Hallowe’en, Archaeolink had something for everyone and I set myself the difficult challenge of fitting my stories to their themes! See their web page for details of upcoming events and themed weekends. I was made very welcome again at the Aberdeen University Storytelling Societywhen I told stories there on the 17th March. They are such a welcoming and relaxed group that it feels so natural to be telling stories amongst them – I wish the society had existed when I studied there! 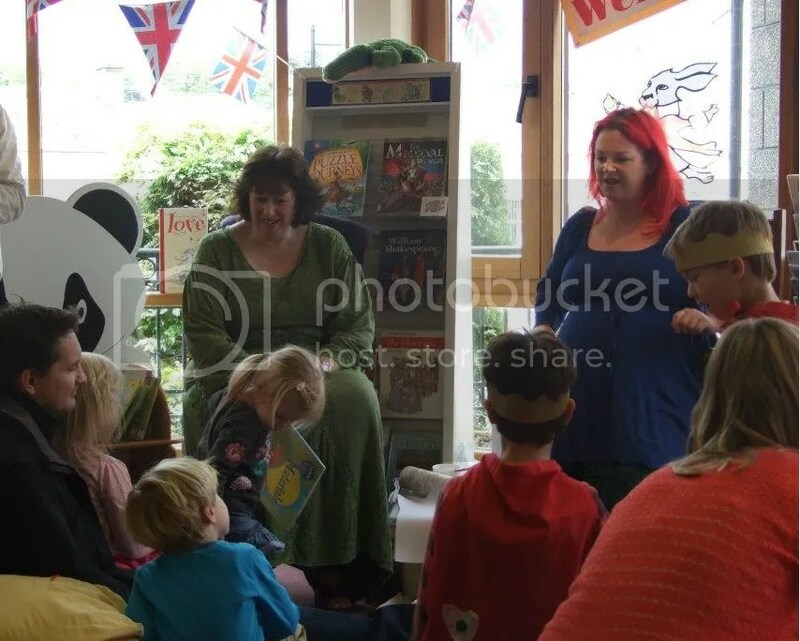 On the 12th June 2010, I was telling Celtic and Pictish tales at St Ternan’s Heritage Fair at Banchory, along with Anna Fancett (GAS Chair) and Lee Ramsay from the Aberdeen University Storytelling Society. We were suitably dressed (and painted for the occasion) and I brough some prehistoric crafts with me and my hunters horn with which everyone was welcome to try calling the Taexali tribe to battle! 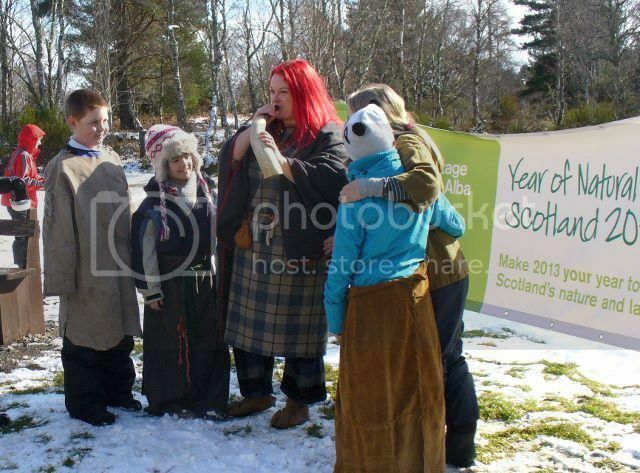 2010’s theme of Celts and Picts will see Banchory Museum and Library converted into a Pictish fort and an Iron Age Hill Fort, and there were be many other activities for kids and adults to enjoy. For all the other events that took place at the Fair, see their webpage for more details. 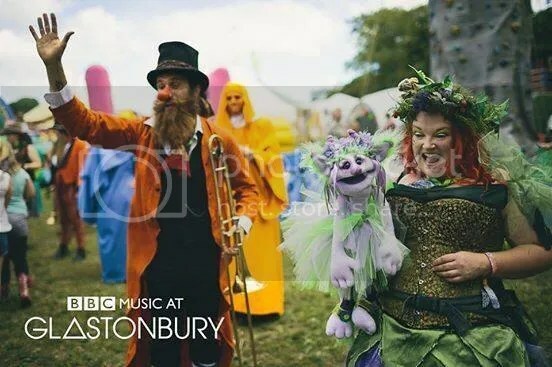 The best thing about the Glastonbury Festival is that there is so much more to discover than the music – leave the main drag heading up towards the Stone Circle and you’ll find poetry, art, crafts, wonderful cafes and stalls and many spontaneous, frivolous, crazy goings-on 🙂 Not forgetting the storytelling of course! From the 24th to the 27th June, I once again joined Christine Willison in the Earth Lodge at the Green Futures Field. 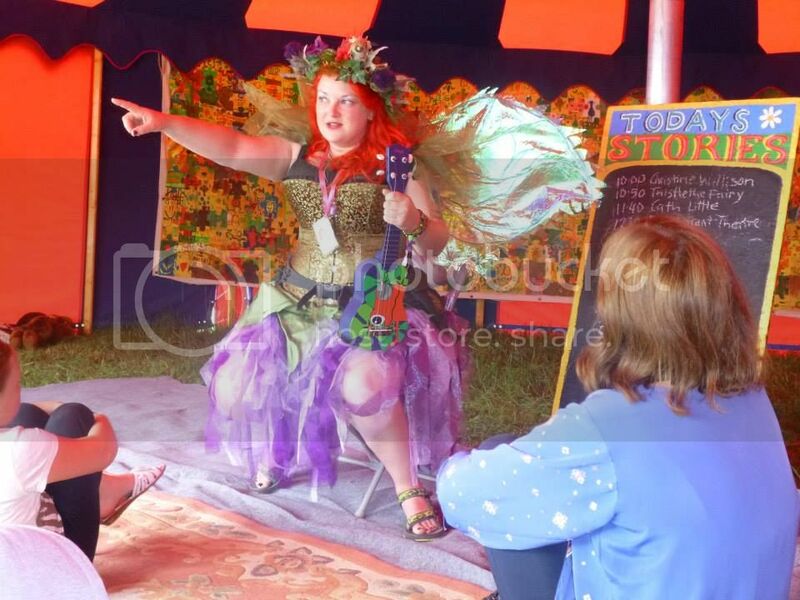 I also told stories at the Kidz field, organised by John Row – and I’m already looking forward to Glastonbury 2011! To make sure the children (and a few mums dads, grannies and grandas!) 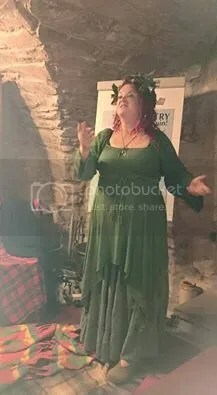 were kept entertained, I joined a number of family history societies, archivists and local interest groups at Crathes Castle’s Family History Fair on the 10th July – a wonderful historic setting to inspire some traditional scottish folk and fairy tales! Scottish Natural Heritage had a wonderful sunny summers day for their Open Day at the Burn O Vat visitors centre on the 11th July where I told some of my favourite stories there as part of the International Year of Biodiversity. How did the Caledonian Forest survive? Who was the mysterious Green Man? 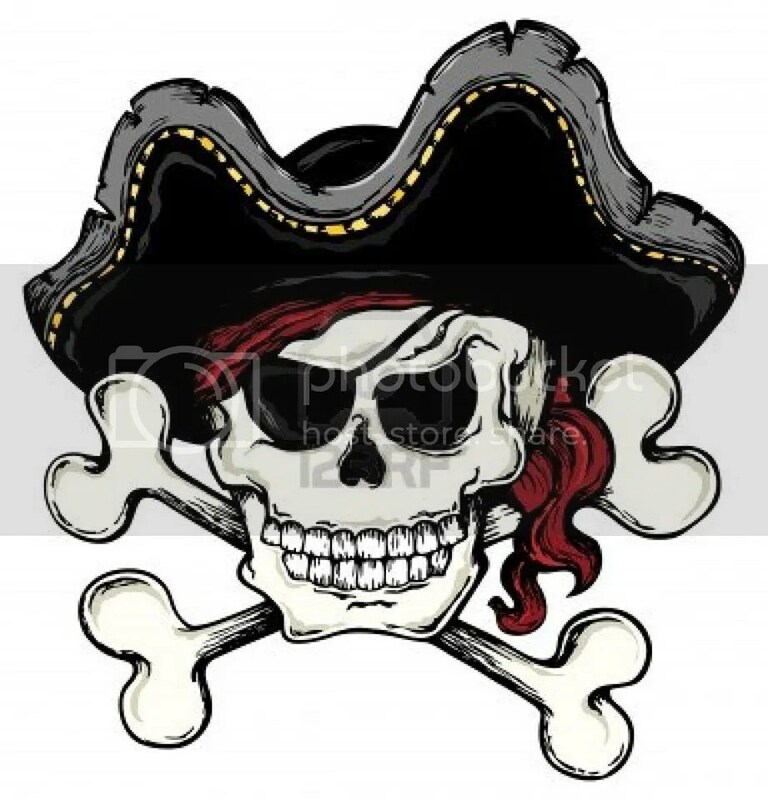 Who caused the scourge of Scotland? Many other activities and crafts were available including a treasure hunt and the chance to make your own bee box. 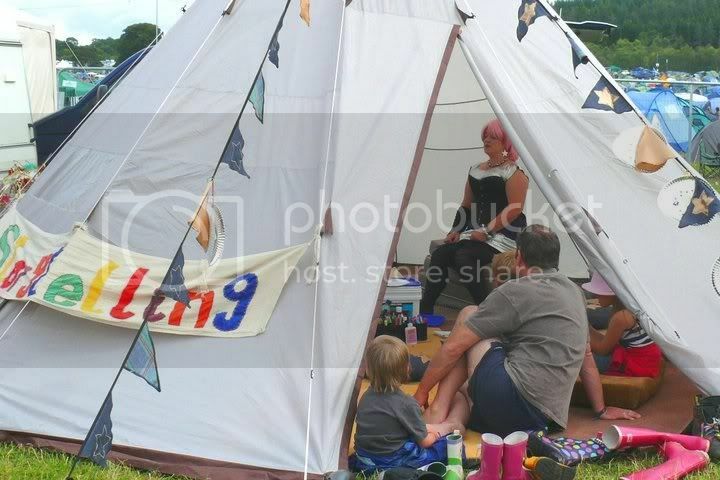 I told stories at the Belladrum Tartan Heart Festival for the first time on the 6th and 7th August in the Tweedledum Tent – Everything I’ve heard about Belladrum was true – it’s such a friendly festival! Fellow storyteller Anna Fancett and I dressed up as the White Queen and Red Queen respectively and she helped me out with a couple of stories. 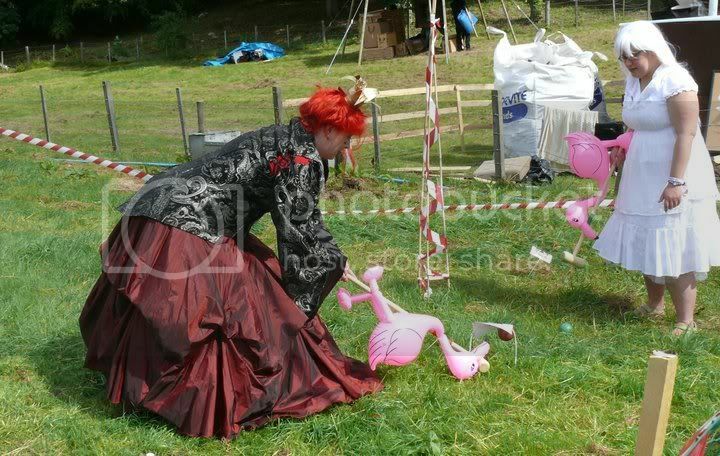 Belladrum Festival Web Page Click here to see the two queens battle it out on the croquet pitch! On Saturday the 4th September, I represented GAS at Bodgefest 2010. 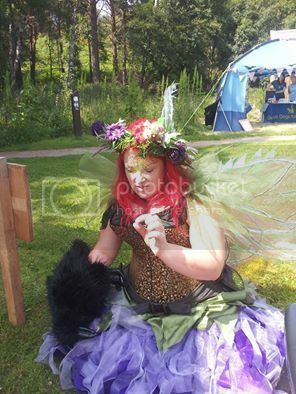 The day was organised by Dunnottar Bodgers Group and was a fantastic family day of crafts, arts and music in the quarry area of Dunnottar Woods. I was one of the organisers of Gadiefest 2010 – a celebration of storytelling, arts, crafts and music in the North East of Scotland which took place on Friday the 10th and Saturday 11th September 2010. The festival was organised by GAS and Archaeolink and we enjoyed a great weekend of tales round the fire in the round house. 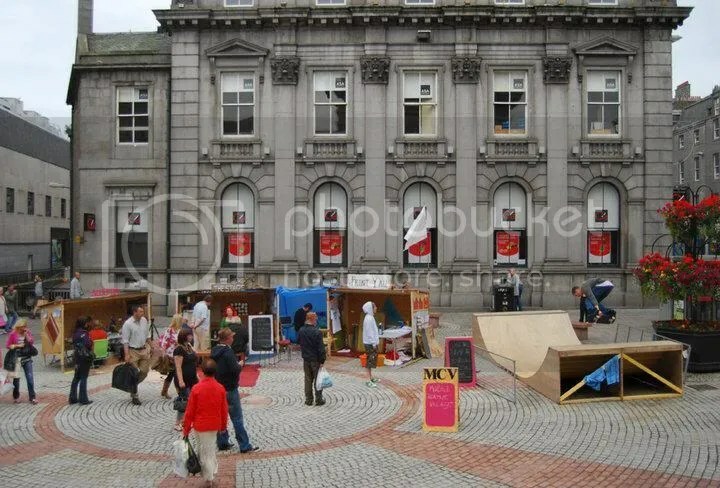 There were events in town (Aberdeen) too though, so have a look at the Gadiefest 2010 web page to see how it went. 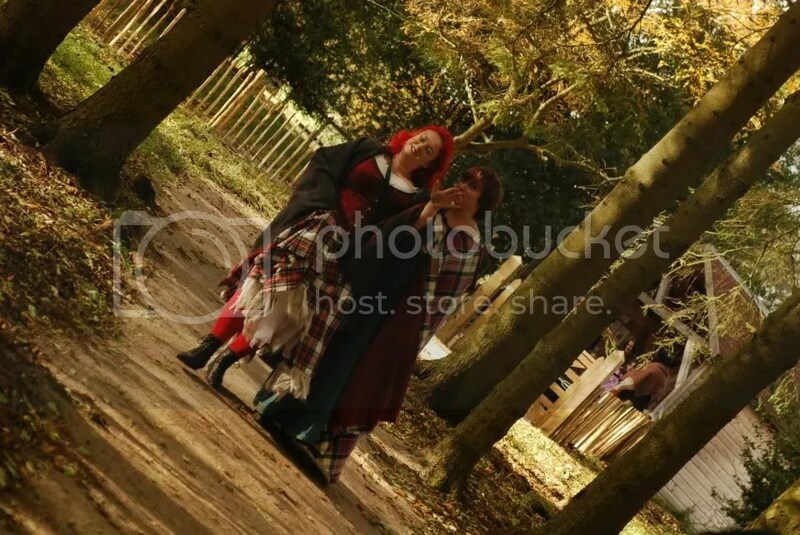 I always feel that Hallowe’en is best spent exploring a spooky castle… So it was with great delight that Anna Fancett and I took on the role of storytelling witches at Castle Fraser this Hallowe’en. We told our favourite ghost stories to fellow witches, devils, ghosts and werewolves in the library which had been wonderfully decorated for the occasion. Sadly it looks like this years Wickerman at Archaeolink was the last. The round house at Archaeolink was where I told my very first story and I and many others will deeply miss the atmosphere, the fun, the excitement, the singing at the roundhouse parties, the midnight stargazing, the spear-fighting, the fire walking, the friendship, the laughter and the good times we all had there. I’m proud to have been one asked to light the Wicker Man for the final time along with other Archaeolink staff as well as members of Historic Saltire and Medieval Realm. Click here to see staff and volunteers enjoy this spectacular event. Finally, to round off the year, I told local stories and Scottish Folk Tales at Stonehaven’s Hogmanay Event, Open Air In The Square. I went to see the fireballs afterwards of course! The Grampian Association of Storytellers held their first Satellite Meeting of 2008 on the 23rd February at Archaeolink Prehistory Park. It was a great success and further Satellite Storytelling sessions in Aberdeenshire will be held for children in the future. For further details, see the GAS website or please feel free to contact me. (See “contacts” page). In the photo, Anna gets everyone dancing to the Frog Song! In June, Stanley Robertson took a group of us out to the Old Road at Lumphanan to meet Auld Craobhie, the ancient oak tree from the story in his book “Exodus to Alford.” We heard a lot of the history of the area, with special relevance to the Scottish Traveller folk who regularly used to camp up the old road. We had a right fine picnic in the shade of Auld Craobhie and sang some of the ancient scots ballads we have been learning from Stanley. Whilst visiting relatives across the pond in August, I was very pleased to meet up with some members of the Montreal Storyteller’s Guild. We swapped a few stories and it was lovely to see the similarities between the Montreal Guild and our own group of storytellers, GAS. I really enjoyed myself and look forward to hopefully meeting up again some time in the future! 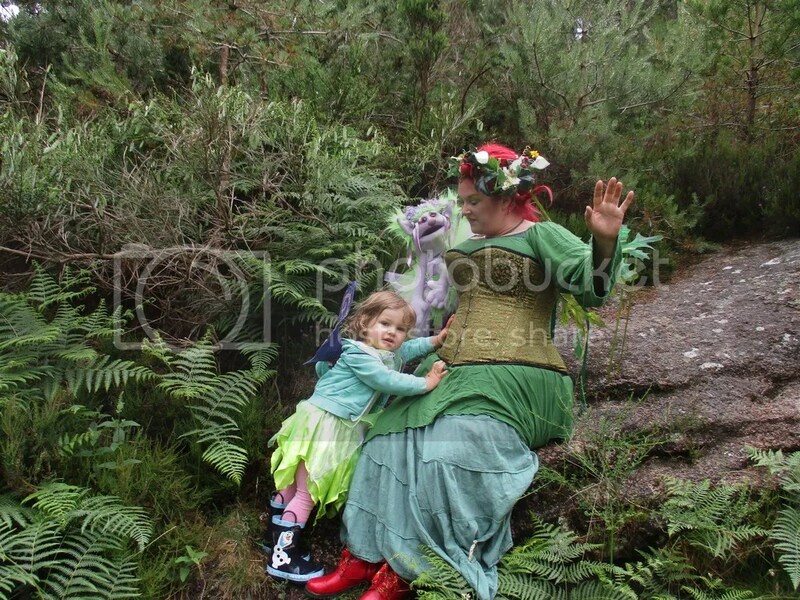 In September, Maggie and I told stories at “Bodgefest” in Dunnottar Quarry. What an amazing setting for storytelling. Hopefully they’ll do it again next year – if so, I’m camping over! Aberdeen University Storytelling Society which was great fun as always! They’re going to be guest starting at March 2009’s GAS FFF! The year’s grand finale was, once again, Wickerman at Archaeolink and the storytelling challenge that is the Haunted Caves! 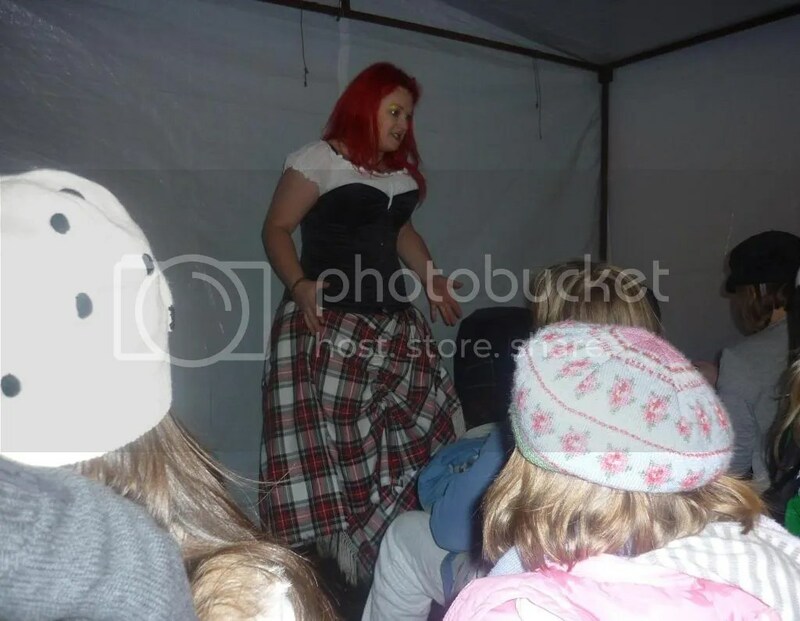 This year we covered the tale of an Aberdeenshire graverobber, The Big Gray Man of Ben MacDhui, Osbarn the Smith and the Aberdeen witch trials – noting specifically the wicked deeds of one Jonet Wishart who was eventually burned for her sins on heading hill. I’ve already got a few plans for 2009, but I’m keeping them to myself for now! These were just a few of my favourite events from 2008. Throughout the year, I was busy with GAS events (see the GAS web page, link below) and various events at Archaeolink. 2007s Glastonbury Festival of Performing Arts was my first time in the Green Futures Earth House – it was a wonderful experience, despite all the rain and that mud! 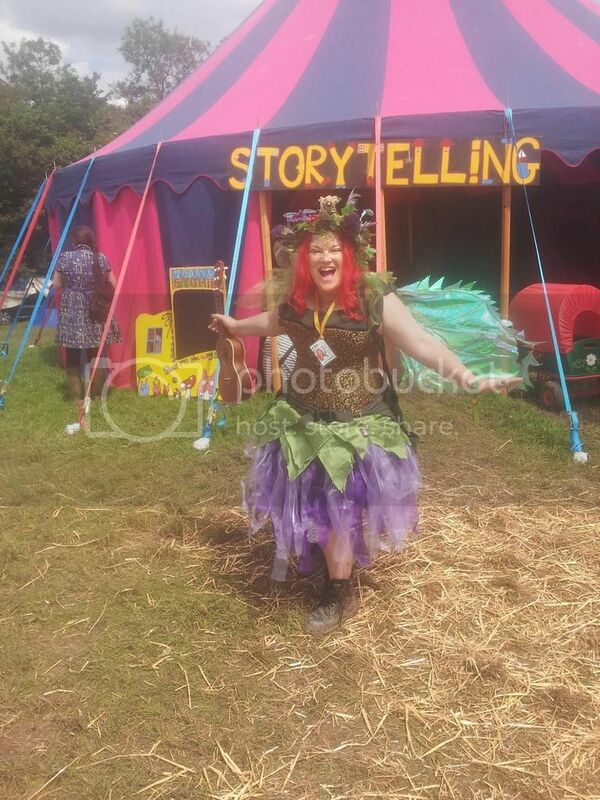 Link to the Green Futures storytelling tent at Glastonbury – I was also asked to join John Rowe’s merry band of storytellers in the Kidz field and was convinced that this possibly the most fun pastime in the world! Then more stories were to be had on the 30th June up on the Kincorth Hill (aka the Gramps!) as part of Aberdeen’s Treefest. Thankfully the sun came out and we had a good audience (both human and canine!) 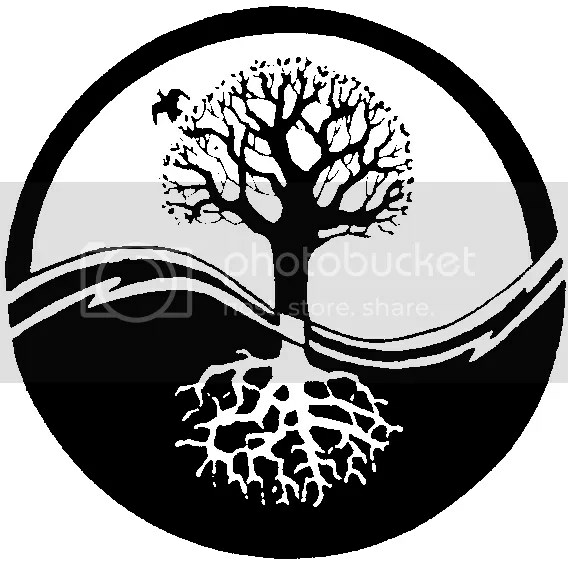 for our tree stories. My next event was on the 16th October where I told fireside tales out on the shores of Loch Kinord at the Muir of Dinnet Nature Reserve. An audience of adults and children were made comfortable on waterproof beanbags and were warmed by a campfire while they heard tales of Battles, Beasts, Myths and Legends of the area. See the Scottish Natural Heritage web page for details! Or see the press release. On Wednesday 17th October, I was guest storyteller at the Aberdeen University Storytelling Society. I was made very welcome by the members, judged the ABOC storytelling competition and was very impressed with the stories told! 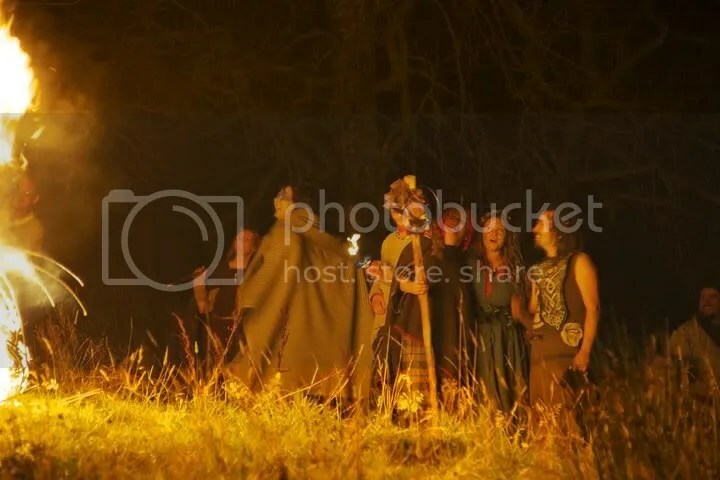 On the 28th October, I could be found guiding a terrified public through the haunted caves at Archaeolink’s Wickerman event while other GAS storytellers were performing up at the round house. 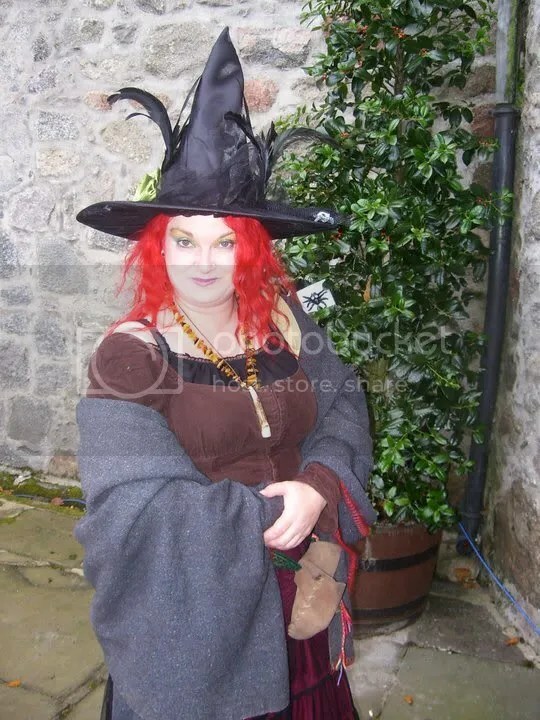 Other Archaeolink events in 2007’s included the Medieval Craft Fair on the 1st April, Cooking Without Gas on the 22nd April, Prehistoric Fashion on the 3rd June, Metal Mayhem on the 16th June, Myths and Legends on the 7th October See Archaeolink’s Web Page for upcoming events. The centre is closed to the public from the end of October (re-opening 1st April 2008) but will be open to schools and corporate events over the winter.